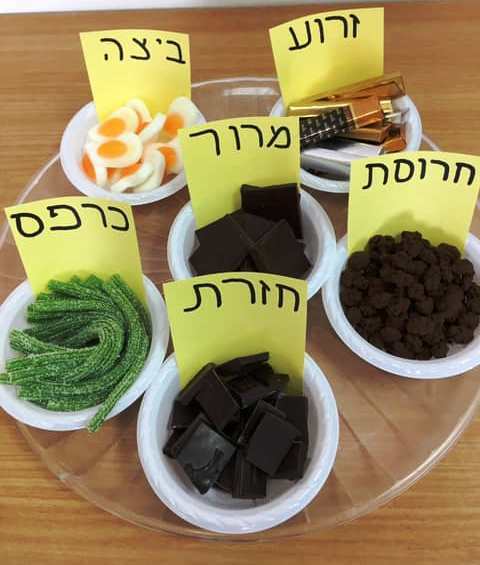 A mock Pesach Seder for educators-in-training at OTS’s Claudia Cohen Educators Institute swapped out the traditional Seder plate items for candy! The Claudia Cohen Institute reinforces the importance of the woman’s role on shlichut [emissary work in the Diaspora] and in Jewish communities in general, imparting to students the skills and tools they will need to implement their vision and make a difference in their adoptive communities, and preparing them for the sociological and psychological realities of Jewish life outside of Israel. Ultimately, the emissaries’ goal as educators is to successfully bring Torah Judaism to life in a warm and joyful environment. And what better way to do that than with chocolate! PrevPreviousThere Were HOW MANY Plagues?